A recent post over on Conscientious about citizen journalism – considers an interesting question about the potential “use” of photographs, and ownership “rights” but I think perhaps another more important and broad question in my opinion is about why one might be inspired to try to photograph – and further to share that image in the public domain. I can’t speak for other’s and what motivates them to take pictures – whether it’s for a living or for fun – as a “professional” or an “amateur” an “artist” or a “photojournalist”. But I can elaborate a little bit on what motives me. With the utmost of serendipity and completely by chance, I have a concrete recent example to consider and I’d like to share my thoughts about this topic. 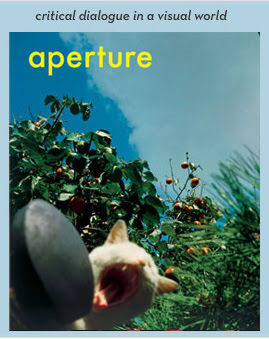 At this time, I feel compelled to note that I am not affiliated with Aperture – (I am a basic consumer with a subscription) – nor am I affiliated with AIGA or the Winterhouse Institute. In the context of this post, I am an interested citizen with a camera. 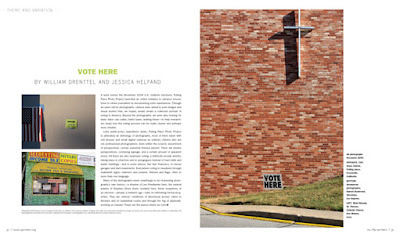 I learned of the “Polling Place Project” through a post on Alec Soth’s blog. I did my due diligence and “read the fine print” which by the way is an important aspect to consider: “In the spirit of public access and broad dissemination, all photographs are contributed under an “Attribution No Derivatives” Creative Commons license.” This type of license allows for redistribution, commercial and non-commercial, as long as it is passed along unchanged and in whole, with credit to you. I am in support of this method of “allowing” the usage of photographs while retaining the copyright and credit. I felt the project was (and is) a worth while exercise to see what I might see. So, I got out there, voted, and took some pictures. But, more importantly, and now in hindsight, is to see what other citizens pictured. I felt – and still do feel – that the solicitation for “citizen photographs of the places we vote” was an interesting topic. It remains to be seen what the “anthology of photographs” may tell us. I look forward to seeing, reading, and hopefully learning more about the project. I can’t “tell you” what to think about the particular selection of photographs, it’s important to think about the “curatorial” role in all of this. It’s up to you to decide – to test the sensitivity of your perceptions. I can say that I was surprised by the realization of the location / juxtaposition of signs and symbols – overt and covert – public / private spaces. The most striking irony to me, became apparent in the degree of the ‘supposed’ separation of church and state. 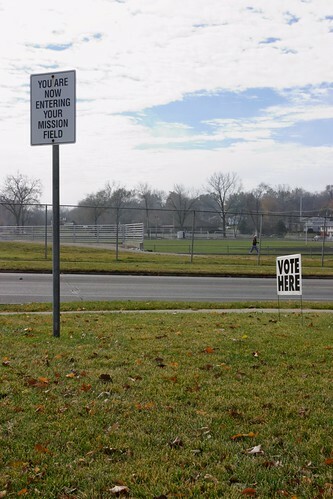 But of course these are my views – my personal perceptions of these particular polling places. What do you think? In summary, in the context of a discussion regarding “citizen journalism” , the currency of exchange is not based upon money, but rather, it is hoped, that the currency is based upon the exchange of my view as presented through my photograph(s). There-in lies the real potential value: a critical visual cultural exchange – one based upon the particulars here of what to me is the most valuable of our democratic of experiences – the right to vote – and further – the opportunity to exercise that right. PS: The King is dead. Long live the King! 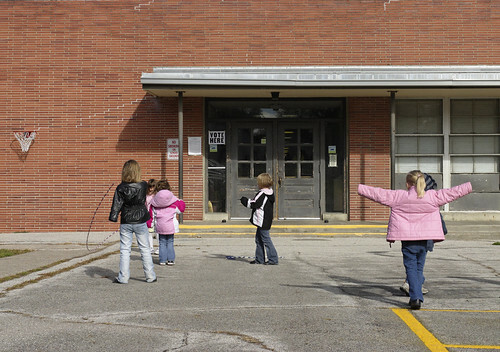 This entry was posted in Culture, Documentary, Photography, Photography Journalism and tagged Aperture, Attribution No Derivatives, citizen journalism, creative commons, Matt Niebuhr - Photography, published, Vote Here by Matt Niebuhr - West Branch Studio. Bookmark the permalink.